A gift bag for the animal lover? That's Frosty Paws! 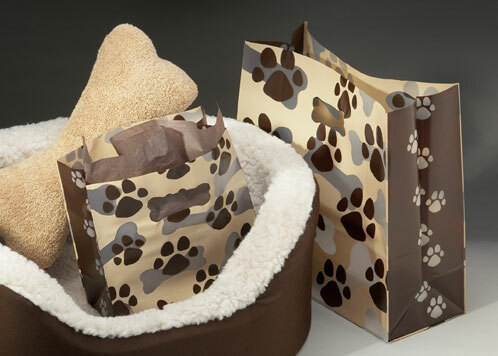 Frosty Paws Series Gift Bags feature paw print and dog bone graphics, and even a dog bone shaped handle. Perfect for pet stores, or anywhere you want to express yourself with your gift bags. Frosty Paws Series Gift Bags are sure to please dog lovers big and small! Frosty Paws Series Gift Bags - 8" x 4" x 8"